Deluxe microfiber front organizer for multiple business accessories. Padded computer pouch hold most 15" laptops. 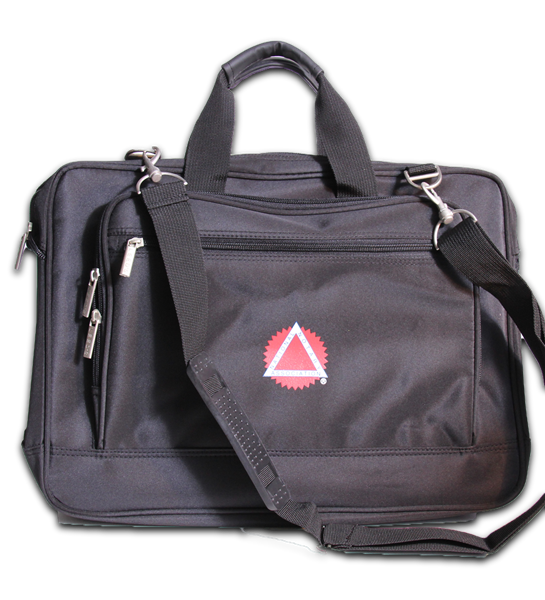 Includes a detachable, adjustable shoulder strap.